My most memorable fish pie was at Avoca café at the Powerscourt Estate in Ireland. What I remember was it being packed full of fish and the seeded mustard mash on top. This recipe tries to take a healthier view of this tasty classic – with a white sauce made from reduced fat milk and a blended sweet potato and white potato mash. While I think you could make the whole thing using the Thermomix, doing parts of it on the stove allow you to multi-task and get the whole thing into the oven sooner. 3. In the meantime, in a small saucepan, heat 2 tbsp light olive oil on medium-high heat, then add flour and stir to combine. 12. 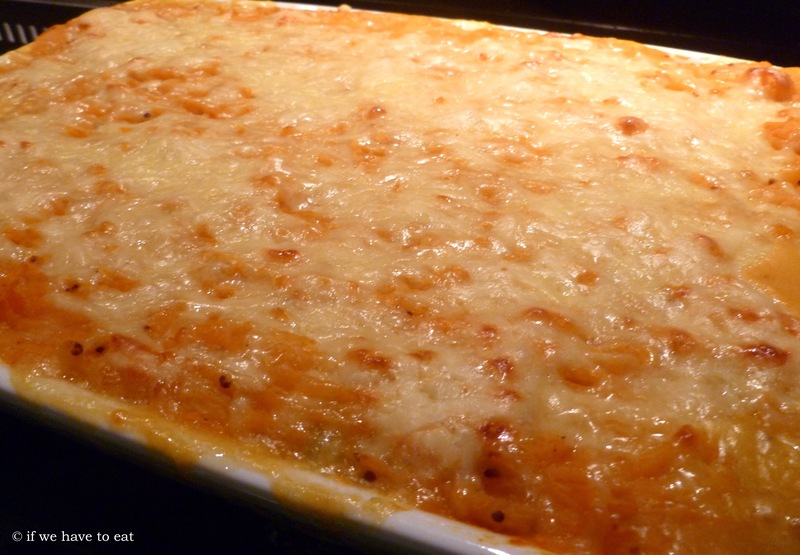 Score the mash potato with a fork, sprinkle with grated cheese and put in the middle shelf of the oven. I’ve changed this recipe from the draft. I’ve decided to use the grill as all of the ingredients are hot and cooked going into the oven, so the grill is only needed to melt and brown the top of the pie. 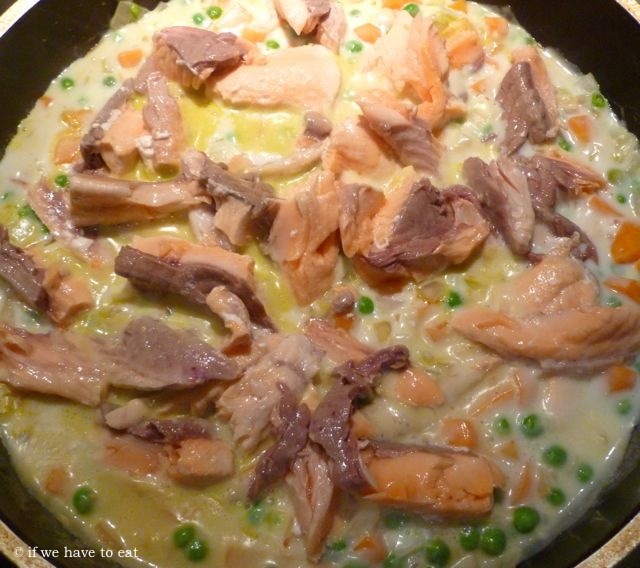 This entry was posted on June 2, 2013 by ifwehavetoeat in Mains and tagged Feed a Few, Fish, Mains, Make Ahead, Pie, Recipe, Thermomix, Varoma.